I’ve had a really strange year. First moving and then floods and then life (and everything that entails) and things just keep rolling right on over me. Mostly good things. Meeting new people, making new friends, learning new things. It’s just been really busy and hectic and at times very draining (particularly the floods). That’s why I’m really, really happy right now. I am now published (happy dance). Though, this also means I can’t give myself excuses any more, I need to get my act together and get blogging again. 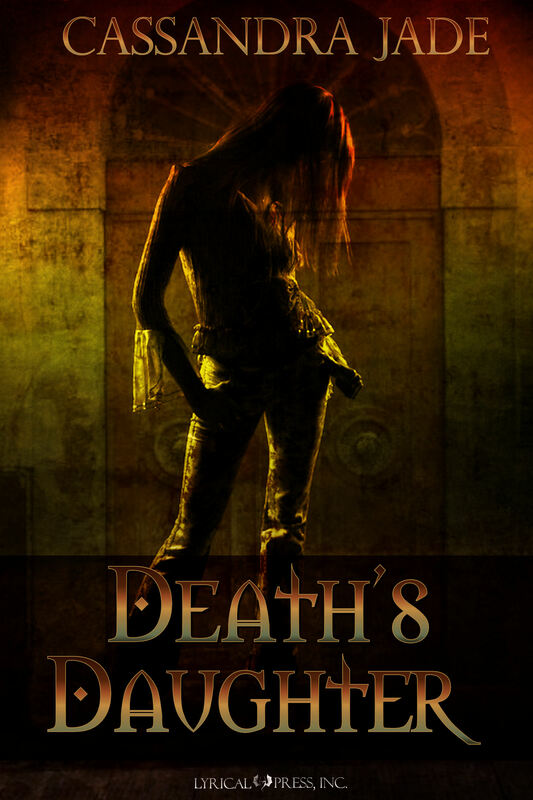 So, if you would like to check out “Death’s Daughter” I would greatly appreciate it. Thanks so much to all the people who have continued to offer support over the last couple of months and hopefully I won’t be doing anymore disappearing acts. Sorry I’ve been away so long. It was good to see you’re still blogging away. Congratulation on your publication. I do not read fantasy but I certainly will check out your book in the bookstore. You live quite a distance from me. I am from the East coast(PA) of the USA.. Anyway, I wish you good luck. Wow, Cassandra! Congratulations! Where is it for sale in Aust? E-Book only unfortunately. It is a start howeve. Thanks for the congrats. A huge congratulations to you on this major accomplishment! Can’t wait to hear how everything goes. Congratulations! Awesome thrill, isn’t it? Hope to see more from you soon. And mega congratulations on your new book!! congrats on the publication, that’s wonderful news! can i ask a silly question – is this a novel or a short story? It’s a novel, though a short one (just over 60000 words). Very fantasy fiction. Congratulations and good to have you back! Your blog post of “Flooded” sat there in my sidebar for so long, I really began to worry about you. Sadly I don’t have an ereader of any kind – an probably won’t for a few years. Good luck with the sales! Thanks all for the support and it is great to hear from you all again. Can’t wait to find out what everyone else has been up to. It’s a very beautiful cover, Cassandra! Thanks for that, I wish I had something to do with it. Congratulations on being published! Good luck for the future. Definitely still celebrating. Every time I start feeling down I just remind myself it actually happened and the happiness starts all over again. Thanks for the congrats. Hi Cassandra, thanks for stopping by my blog. I will be adding Death’s Daughter to my reading list. Thanks for that, and thanks for the visit. I’m so glad to see you back. I got in the habit of checking on you about once a week and so this is a late comment, but no less heartfelt than had it arrived a week earlier. Thanks Cat, sorry for the long absence.